Caterham car tuning tips and advice. We have a wide range of tuning articles covering all models of Caterham from small classic Caterhams, bike engines models right up to track day set up race spec models. Following our tuning tips you will avoid many of the common mistakes and actually achieve the car setup you desire. Please join the forum for model specific questions and answers and to meet other owners and see what modifications they have done. TorqueCars started providing Caterham modification help, car track day setup and car tweak suggestions and advice and tips back in 2003 and have grown from strength to strength with a fast growing membership of all types of cars including many, Caterham owners. We are currently one of the fastest growing car tuning clubs around and certainly one of the friendliest. In 2007 we also organised our first full car show. Our Caterham comprehensive modification articles on tuning and styling are kept upto date so for the very latest Caterham modification,track day setup and tweak suggestions and advice, tips and pointers please check back regularly – we aim to cover in more detail the superlight, R300,R400 and R500 which are already great track day cars and not very expensive to run and the latest evolution of the Caterham – the CSR and SP/300R. We strongly recommend that you join our Caterham forums and swap modification ideas with like minded Caterham owners in the modification forums. If you have a Caterham project underway we would love to hear about it, the Gallery section in the forum contains some interesting projects. 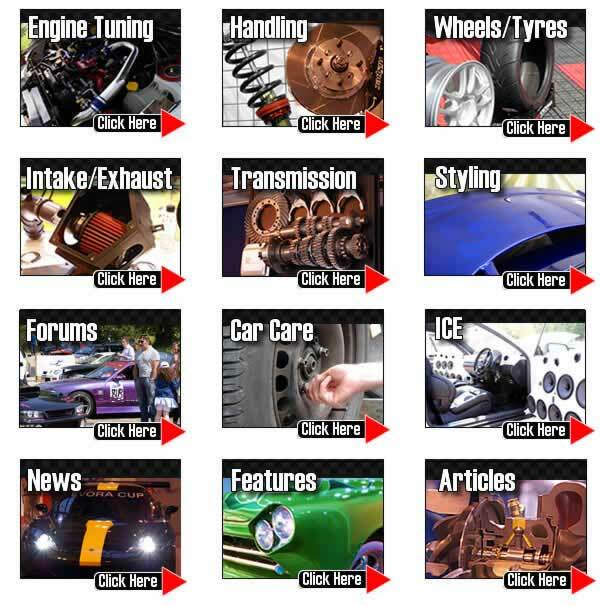 Scroll down the page to see our latest tuning articles for your Caterham. While it is tempting to throw in every modification you can, it’s worth noting that not all mods work well together. This is something we cover in our articles as we steer you to the right decision on mods for your car. The valves are like the doorways into the engine and control the flow of the intake air and fuel and then after combustion they control the exit of the exhaust gases. As you can guess the valve springs work incredibly hard, and as you increase the power of your engine the valve choice is vital. TorqueCars will now take a look at the many considerations taken into account when selecting valve springs. The inlet and outlet ports on the engine block are usually larger than those of the manifolds that connect to them. This allows for scope in the manufacturing process to allow for mismatched alignment. Generally the engine ports are larger in the upstream flow direction avoiding turbulance but power gains can be made by matching these up.